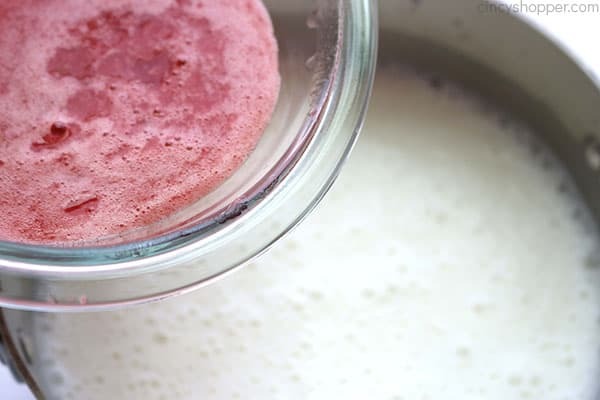 If you are a fan of flavored hot chocolate, you will want to make this super easy Strawberry White Hot Chocolate. 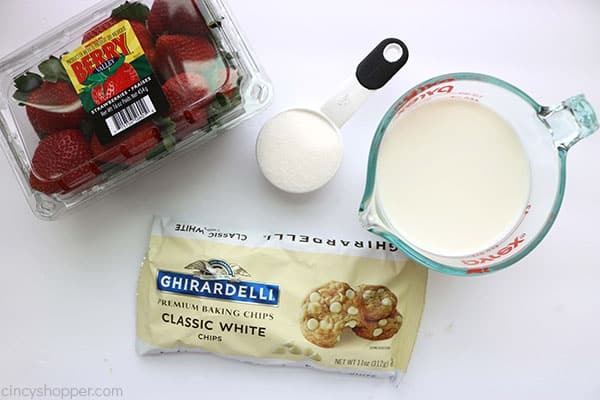 We make it with fresh strawberries and white chocolate chips. 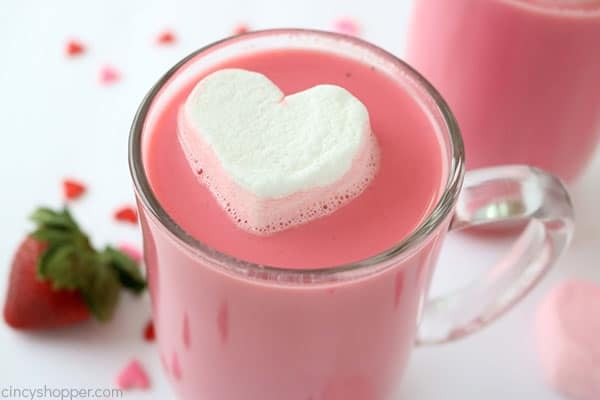 You can also add in a bit of red food coloring to make it a Pink Hot Chocolate that is perfect for a Valentine’s Day treat. Hot chocolate is great on cold fall and winter days. I often whip up some homemade hot chocolate for my kiddos to enjoy after school. Flavored hot chocolate like this strawberry white hot chocolate always makes for a fun twist to serve for holidays. I plan to make this recipe for us to enjoy again on Valentine’s Day. The strawberry flavor is not overpowering and the pink color is great for the holiday. Hot chocolate is a simple treat that I can make in little to no time and adds a little special something to the day. A comfort beverage so to say. For fall, I often make my Pumpkin White Hot Chocolate because fall is all about the “everything pumpkin”. 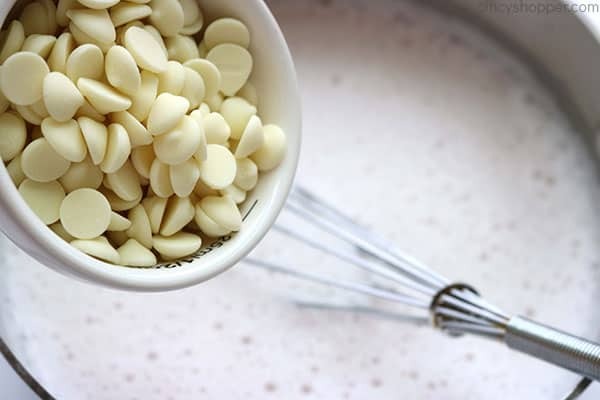 For the winter and Christmas holiday, we are constantly making a batch of my Peppermint White Hot Chocolate. All of my hot chocolate recipes are flavored perfectly. None of the flavoring is overwhelming. What toppings do I use for Strawberry White Hot Chocolate? Be creative when adding in toppings for your strawberry hot chocolate. I used a simple heart marshmallow for the Valentine holiday. Add on some homemade whipped cream to have a really creamy topping. Maybe top with some pink or red sprinkles. 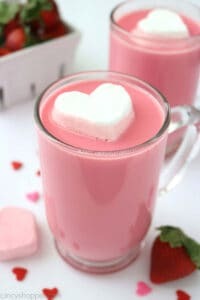 What Ingredients are needed to make Strawberry White Hot Chocolate? 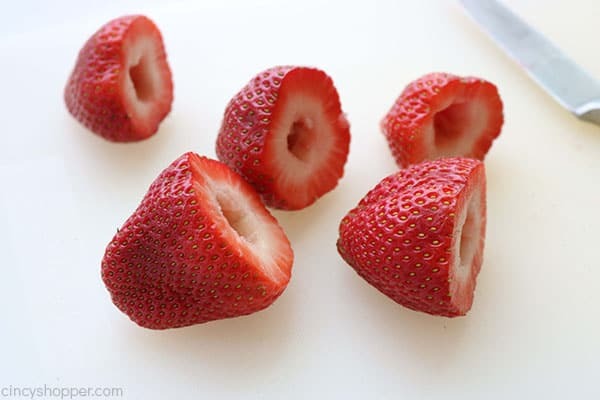 How do you make Strawberry Hot Chocolate? 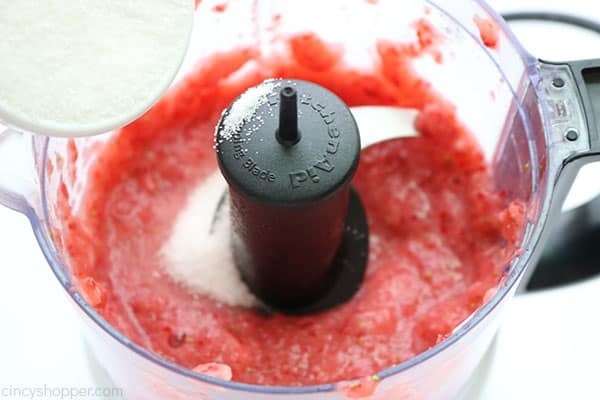 When pureeing your strawberries, be sure to puree completely. 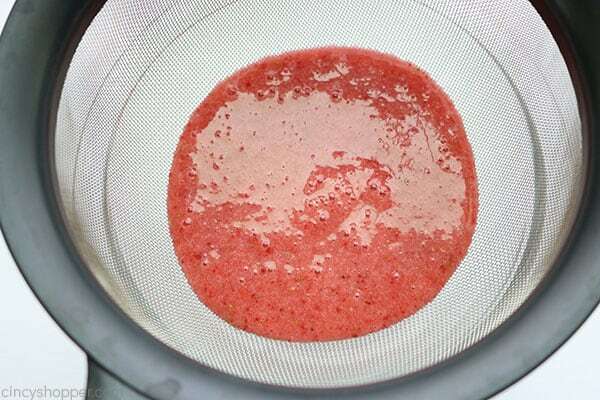 Use a cheese cloth or strainer to remove your seeds before adding to your milk. A few seeds sneaking through is fine. Be sure to whisk your milk as you are heating it. You do not want it to scorch. 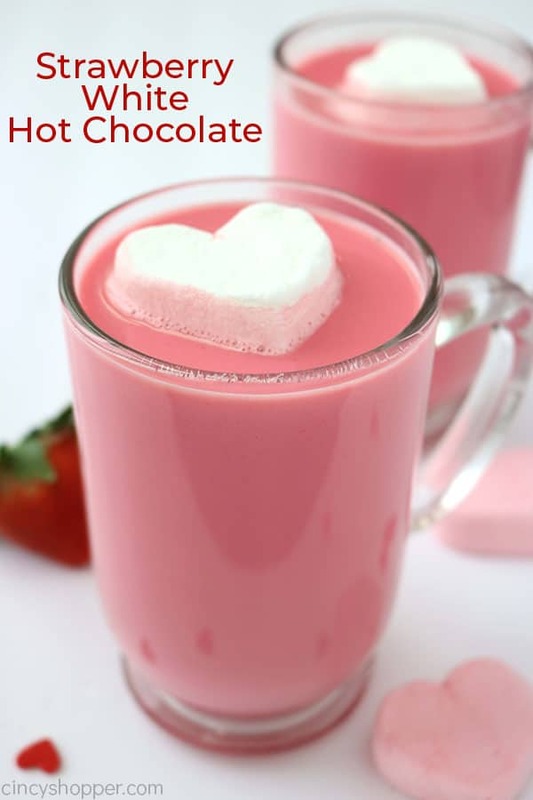 This recipe, I added just a couple drops of red food coloring to make this a pink hot chocolate. The coloring is not necessary and adds no additional flavor. 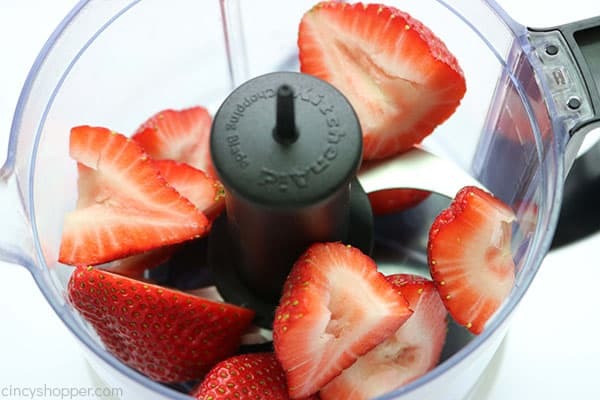 I make fresh strawberry milk similar to this, but without the white chocolate. I would love to try this to see the difference in taste. Pinned.